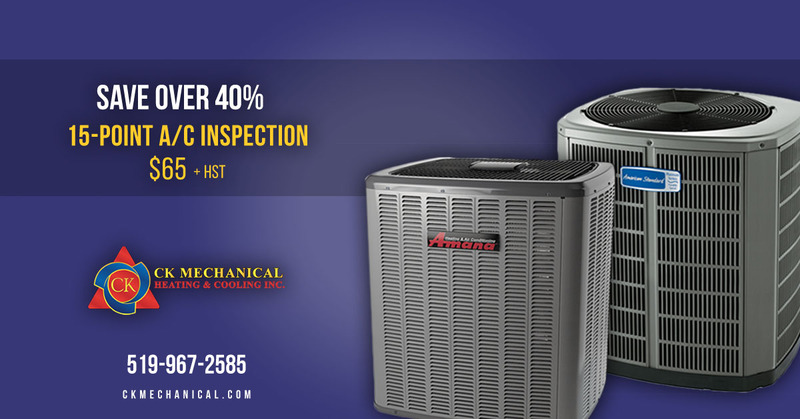 With winter ending and the warm weather just around the corner, now is a great time to make sure that your air conditioner will be ready and working its best this summer with a 15-point air conditioner inspection from CK Mechanical. 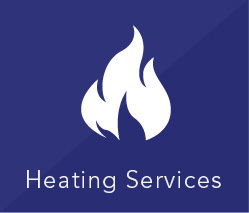 From now until May 31st, 2019, CK Mechanical is offering air conditioner inspections in Windsor and Essex County for $65 + HST*. A 15-point A/C inspection from CK Mechanical is a great way to identify any problems with your home cooling system so you can get them taken care of before they become more serious. Our expert technicians will perform a thorough check of all the key components of your air conditioner to make sure that everything works properly and to identify any warning signs that could show a potential problem down the road. No matter what make or model your air conditioning system is, or who you purchased it from, we can perform a complete inspection on it so you know exactly what’s going on. An air conditioner inspection can help you know about any issues with your home air conditioning system so you can get them taken care of before they become more costly repairs or cause you to lose cool air during the hot summer weather. If we find any problems with your air conditioner during our inspection, we will provide you with expert advice on the best way to address them before they become more serious. 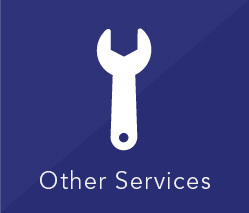 If your system needs repairs or service, we will provide you with a competitive quote for taking care of any work your system needs. 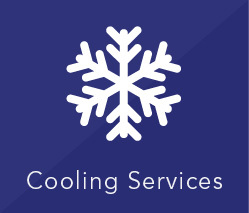 We offer great rates on all of our air conditioner and HVAC services. If you are experiencing frequent problems with your system, or if there is a more serious issue, our technicians can also help you determine if it might be time to look at a new air conditioning system. If you have an older air conditioning system you’re experiencing frequent problems with, let us help you discover all of your options for a new cooling system. 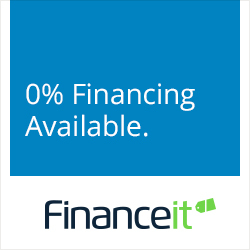 We also have great financing options available to help you get the new air conditioner you need with terms that better fit into your budget. Let us help you make sure that your air conditioning system will be ready when you need it this summer with an air conditioner inspection from CK Mechanical. To learn more or to schedule your inspection, call us at 519-967-2585 or email us for more information. We want to be your source for all of your needs when it comes to air conditioners in Windsor and Essex County. *Certain conditions apply. Contact CK Mechanical for more information.